According to a recent survey by the Consumer Federation of America (CFA) switching to LED lights can save the average home $1,000 in 10-years or about $8.33 per month. These numbers are based on the idea that most American homes use an average of 20 indoor light bulbs. 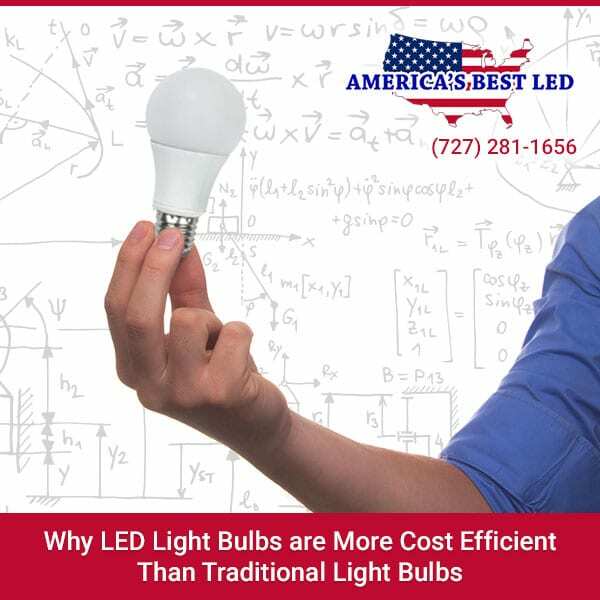 The reason behind this monetary savings is that these are high-quality light bulbs that will last longer, thus saving you money over the course of time – especially when compared to traditional incandescent or halogen bulbs. Created by the Department of Energy (DOE) in 2000, LED (light-emitting diode) bulbs have a semiconductor that converts electricity into light. It wasn’t until 2010 that these LED lights became widely available though. This is because there were many issues (e.g. short lifespans, harsh lights, flickering, high price tags) that needed to be worked out first. During this time their prices have also dropped by as much as 85%, even though they’re still considered “expensive” (costing about $100 to replace 20 lights in a home since each cost around $5) – about twice as much as you’d pay for a traditional incandescent or halogen light bulb. Fortunately, this price is offset by longer shelf life and savings on your electric bill. This is why between 2009 and 2014 the number of LED lights grew from under 400,000 to over 78 million because about 36% of consumers now know about the benefits. Many of these people still plan to make the switch, even though they haven’t done so already. These bulbs last longer – at least 10 years instead of the one-year life span of a traditional incandescent or halogen bulb. This means you’ll spend less money because you’ll change bulbs less frequently. As such, these bulbs are also more convenient, especially if you have light fixtures that are difficult to reach. They emit less heat, which means they waste less energy – something that’s given off when heat is created. This is important because most incandescent bulbs release about 90% of energy as heat. On the other end of the spectrum, LED light bulbs are known to emit 75 – 80% less energy, which could save you as much as $75 a month on your electric bill. There are many different color options available to choose from, including warm yellow (what you’re already familiar with incandescent and halogen bulbs emitting), cool white, and daylight hues. Dimmable and non-dimmable options as well as direct light and omnidirectional bulbs are also available. When you’re ready to make the switch to LED lights, contact America’s Best LED. You’ll find that making the switch is much easier when you have their years of service on your side.